At Fort Lowell Park, a father and daughter cruise around on bike. This story was created by #ThisIsTucson and underwritten by Cyclovia Tucson, debuting a new route this Sunday, April 7. Thank you for supporting the local organizations that support us! 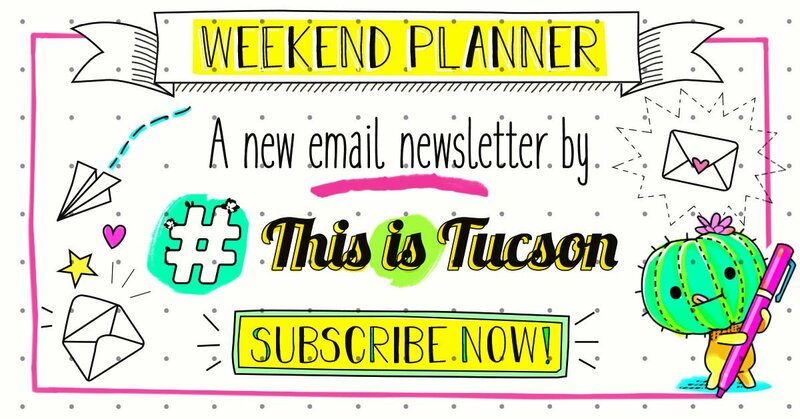 Once or twice a year, Tucsonans get to cruise car-free streets during the community block party that is Cyclovia. People walk with their families, ride their bikes, roller skate and blow bubbles. It's quite lovely. You can join in the hullabaloo this Sunday (read more about it here), but truly, you can enjoy our city by bike or foot all year long. We're not suggesting you start commuting to work every single day, but maybe you could consider ditching the car one or two days a week. To map out the best route to work, check out this Tucson Bikeways map (and an app!) put out by the Pima Association of Governments. It shows bike lanes and boulevards and where to cross busy streets. And here's a regional bike map by Pima County if you live outside Tucson city limits. Tip: Use bike boulevards when possible. They're low-traffic, low-volume roads with signage that make it easier to bike somewhere. If you live in Oro Valley or nearish to the freeway or River Road, you should definitely see if you can incorporate the Loop into your ride. It's a car-free, multi-use path that makes for a really lovely ride. We also like the idea of walking or riding your bike to conquer some errands. Surely, a bike ride to the library is a thousand times better than a car ride (while it's spring, at least). Consider your regular stops — the grocery store, the post office, your favorite takeout place. Can you get to any of those destinations without your car? Check out Transit Cycles at the MSA Annex, 267 S. Avenida del Convento, for some fancy bike swag that will make toting groceries or your laptop easier. The local shop sells bells, bags, lights and anything else you might need to dress up your bike. One of the glorious things about Cyclovia is the opportunity it offers to explore a part of Tucson in a fresh way. Do the same thing in your neighborhood. Bonus: You might meet more of your neighbors. Be intentional about looking for something lovely. With all of the wildflowers bursting, it shouldn't be hard. Take a few photos of the moments that strike you. Or be proactive about adding beauty to the place you live. On Sunday, the Urban Poetry Pollinators will have stations all along the Cyclovia route to encourage people to write poems and draw pictures with chalk. Really, there's no reason you can't do this at home. Delight your neighbors with chalk art and thoughtful poems. Doing so will allow you to interact with your neighborhood in a fresh way and may help someone else pause for just a moment. If you need some inspiration, following the Urban Poetry Pollinators on Instagram. With dozens of local parks, find one near your home and invite your neighbors for a potluck-style picnic. 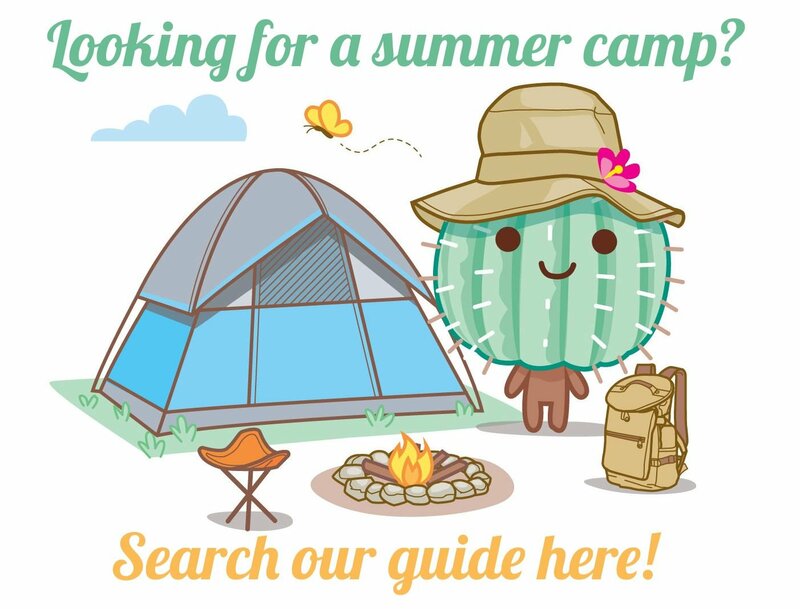 You can make ramada reservations at many of them by visiting parks and recreation websites for Pima County, Tucson, Oro Valley, Marana and Sahuarita. To go all out and plan a block party on your street, fill out a special event permit for your municipality. This process may actually let you close off certain streets. If possible, join forces with your HOA or neighborhood association. Or, if all of this party planning seems too ambitious, grab a few friends and organize a neighborhood walk. It doesn't have to be long or fancy. Just you and a few neighbors getting some exercise and enjoying the fresh air. Cyclovia Tucson will debut a new route this Sunday, April 7 — connecting Banner—University Medicine to the Warehouse Arts District and #CorbettPorch at Sixth Avenue and Seventh Street. Enjoy Tucson from a new perspective. Walk your dog, roller skate, blow bubbles. Have fun because during Cyclovia, the streets are yours! This spring it has a new route and a theme — National Poetry Month. Write a poem or pull weeds. The opportunities are endless.